In the face of a new lawsuit challenging the way Skip the Dishes classifies its drivers, a pair of university experts say the case spotlights a legal grey area in Manitoba’s growing gig economy. In the face of a new lawsuit challenging the way Skip the Dishes classifies its drivers, some experts say the case spotlights a legal grey area in Manitoba's growing gig economy. "It seems that we need more clarification," said Sean MacDonald, a professor at University of Manitoba's Asper School of Business. "There's a lot of curiosity how this will all go down, because it will affect a lot of the players in the gig economy." Last week, Charlene Pokornik, a delivery driver for Skip the Dishes, filed court documents seeking class-action certification for her lawsuit, which alleges the online delivery service misled its workers by telling them they are private contractors instead of employees. The delivery service denies the allegations and told CBC News in an email its drivers are private contractors, not employees. MacDonald said the difference between those roles matters because, under Manitoba law, employees are entitled to a host of rights and protections that companies aren't required to give to independent contractors. Those include minimum wages, overtime and holiday and vacation pay. The question is becoming increasingly relevant thanks to a growth of work in the gig economy, which MacDonald said is loosely defined as transactional work involving temporary employment contracts. With that shift in mind, David Camfield, a co-ordinator for University of Manitoba's Labour Studies program, said it's time for the province to revisit labour laws. "We have to avoid exaggerating it, because there is actually even more hype than there is change in reality," he said. "But certainly there's a growth here of certain kinds of work." A spokesperson for the province said many factors are taken into consideration when determining whether an individual is an employee or an independent contractor. A backgrounder on Manitoba Growth, Enterprise and Trade's website says the question can be complex, and relationships are assessed based on the specific circumstances in each case. "Simply saying that the worker is an independent contractor, or having a lawyer prepare an agreement, does not legally or definitely ensure the relationship," the site reads. General guidelines laid out by the province say employees are "under the direction and control of the employer," including for their hours, work duties and when, where and how work is to be performed, whereas independent contractors can decide how, when and where to perform work. Employees are hired as the specific person to complete the work, while in the case of independent contractors, there's no expectation that a specific person will carry out all or even part of the service, the guidelines continue. Paul Edwards, the lawyer representing Pokornik, said on Tuesday that employment rules like Manitoba's Employment Standards Act have been in place for decades in all provinces, but have been amended regularly. "It's not for me to give an opinion as to whether or not this type of case would prompt any need for change," Edwards said. "What we do know is that there's a lot of decisions, again, of tribunals and courts speaking to this issue, this distinction, between independent contractor and employee." Camfield said it's important to take recent decisions in other jurisdictions into account. He pointed to independent British tribunals that found Uber drivers are employees, not private contractors, and a recent California Supreme Court decision that puts the onus on employers to prove whether their workers are independent contractors. "I think those are important kinds of things to take into account," he said. 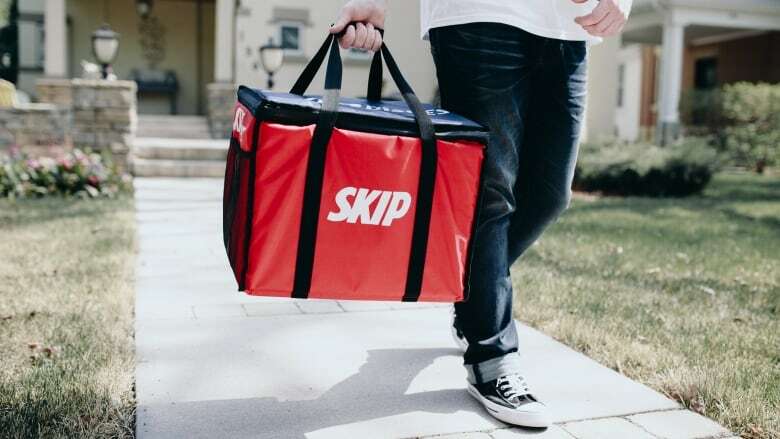 Camfield said the Skip the Dishes suit is also interesting because it's seeking class certification, rather than seeking changes on a worker-by-worker basis. "The real problem is individuals trying to go up against companies by themselves. That's pretty imbalanced when it comes to the power relationship," he said. "So people need to get together. A class action lawsuit is one way of trying to act collectively through the courts."